We should have higher sales volume in April than we did in March. Historically, sales volume grows steadily from January through June, then levels off and starts to fall in September consistently through year end. 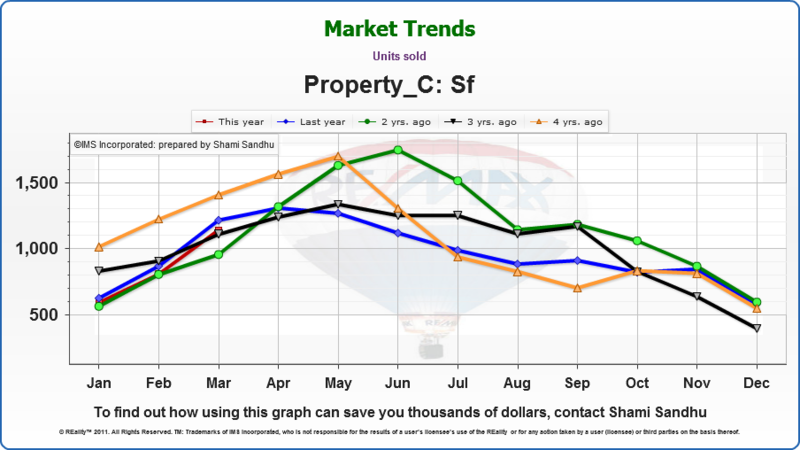 With the sales to listings ratio dropping in April, our prediction for an early surging spring market in 2011 is seeming to come true. With over 7000 listings at the end of April, we can expect to have an oversupply of properties by the peak summer market with families looking to move. This will cause a more dramatic seasonal price drop into the early fall as those who need to sell are forced to reduce their prices. With a lot of positive media exposure on Alberta’s real estate market future recently, consumer confidence is high. But we have to remember the timing delay of 12-24 months from the start of labour shortages & job growth to increasing real estate demand & values. The best time to buy will most likely be the June—September period. Thinking of selling? Call us today! It’s almost too late for this year to maximize your value, otherwise you’ll likely need to wait for spring 2012. Need sell & buy? Again, now is the time. Don’t delay, call today! 780-701-2626 and ask for John Carter or Anu Khullar. For details on these graphs or information specific to your neighbourhood and property, please contact us for a one-on-one meeting. We look forward to meeting with you. 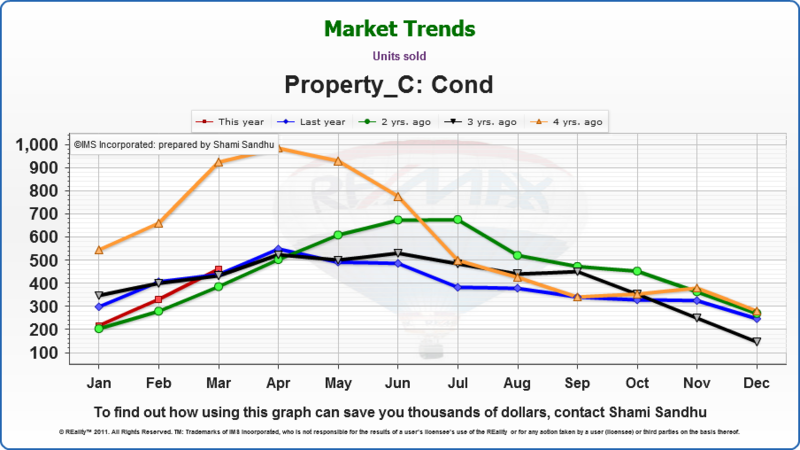 Edmonton, May 3, 2011: According to the REALTORS® Association of Edmonton, the average price of housing remained relatively stable through April as compared to the previous month. The all-residential average price decreased $310 to $327,415; down from $327,725 in March. 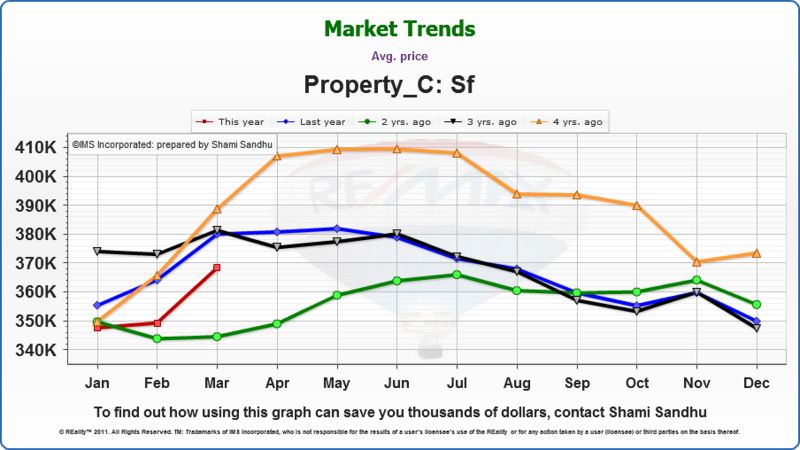 Single family home prices decreased $425 while condo prices rose $1,305 (0.6%) during the month. Despite the activity the market is balanced without a distinct advantage for either buyer or seller. Residential sales were 1,487 down 7.8%; compared to 1,613 in March. Residential listing activity rose from 2,958 units in March to 3,278 units in April. Inventory of homes on the Multiple Listing Service® increased from 6,885 last month to 7,215 as of April 30. The average* price of a single family detached home in April was $379,075 with a median price of $357,000. Condo average price was $234,220 with a median of $220,000. Duplex and rowhouse prices rose on average from $294,585 to $300,906, a 2.1% increase. All prices reflected sales across the entire Edmonton region including surrounding communities and counties. The average days-on-market in April was 49 days. The residential sales-to-listing ratio was 45% in April and total MLS® System sales were over $1.822 billion for the year so far.